myTuner Radio is a directory of radio stations and podcasts. 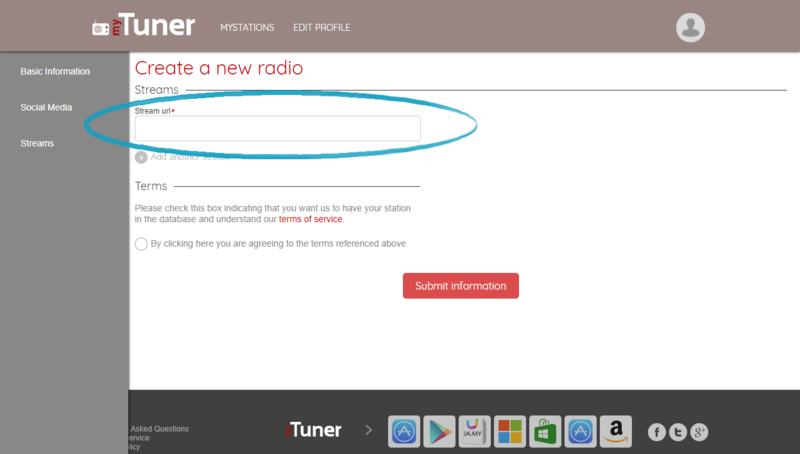 In this article we'll show you how you can upload your Mixlr station to myTuner Radio. TIP: to add your Mixlr channel to myTuner Radio you'll need to use the live stream URL which is available to Mixlr Pro subscribers. You can learn more about Mixlr Pro here, and you can sign up for Mixlr Pro here. Once you've got your live stream URL go to https://mytuner-radio.com/new-radio/. To enter your live stream URL click the 'Streams' tab to the left. 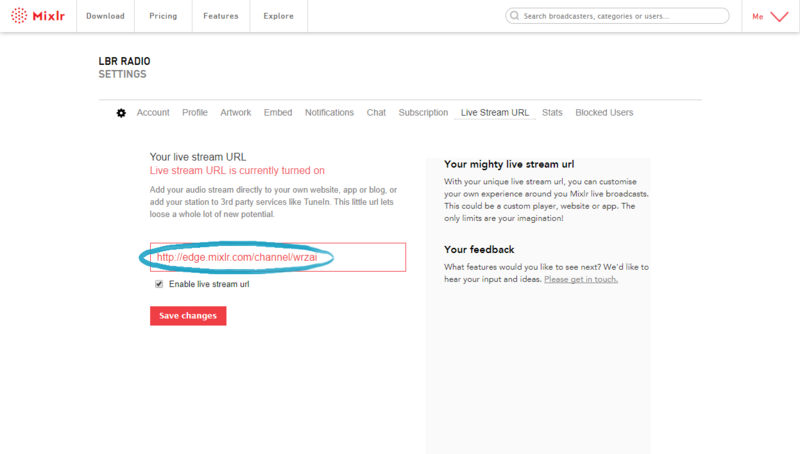 Add your live stream URL in the 'Stream url' field. 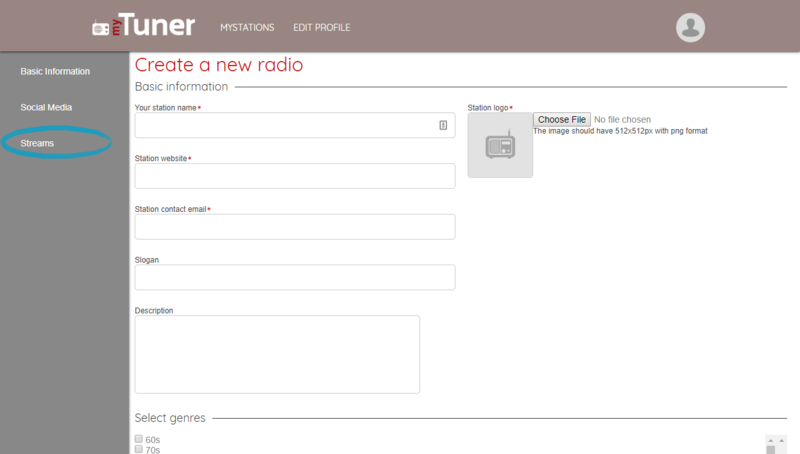 When the form has been completed ensure that you read myTuner Radios terms of service (linked on the form) and then click 'Submit information'.